Lancôme's new dewy mist, is a multi-tasking beauty water that can be applied before or after makeup to prep skin and set makeup. It is packaged in a spray bottle and is formulated with ingredients of 100% natural origin. Although formulated to be used before and after makeup, I much prefer this as a setting spray. Partly because of how very dewy it leaves me looking - not so much that you'd look like an oil slick. It doesn't bother my makeup and holds it intact for a few hours. The concept is similar to MAC's Fix Plus. As for the scent - it smells like fresh rose water, with a little more of a soothing aroma from the essential oils. It is expensive at $37 a pop and I wish there was a little more of product in there for the price. Not that you need much every time - a spritz or two covers the whole face and neck, but the bottle is just a little bigger than most travel size spray bottles. If you have dry skin, you sure will love the dewy effect from this one. It eliminates the powdery look from foundations or setting powders and adds a little bit of moisture back. I use it in moderation, because of the alcohol content and if you have oily skin, keep in mind that it contains peppermint oil. That being said, it is perfect as a mid-day refresher that works over makeup and would be a great handbag essential during summer! 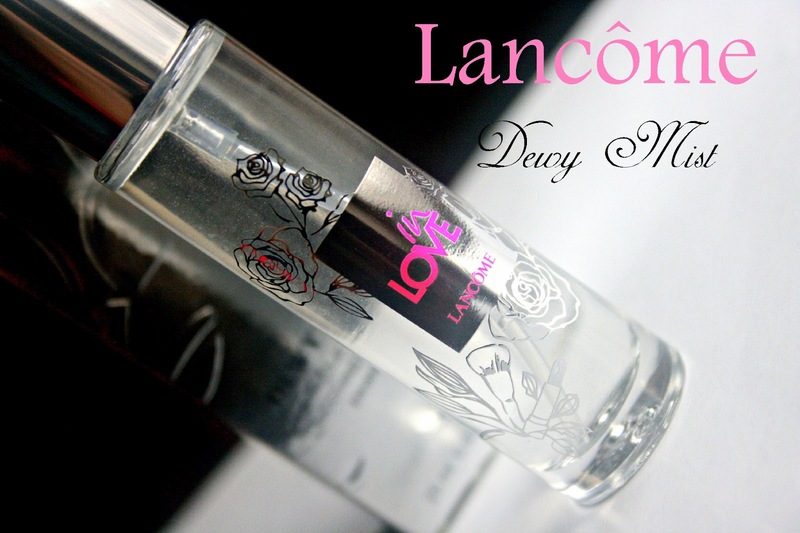 Have you tried Lancôme's Dewy Mist?